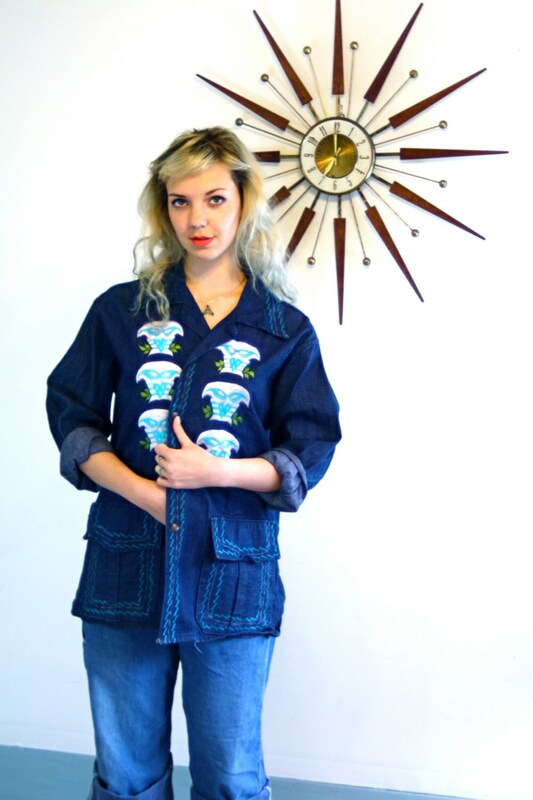 This is such an awesome Owl Embroidered Denim 70s Jacket! 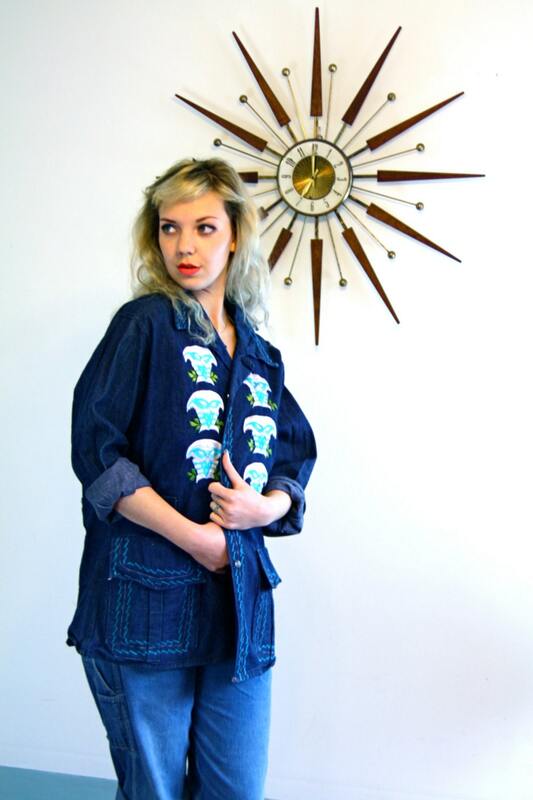 This Dark Jean jacket has turquoise and white owl embroidery all down the front! 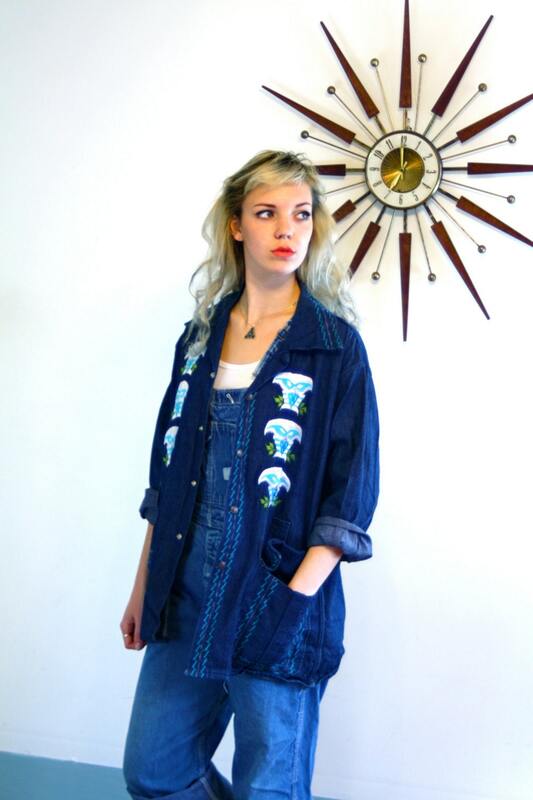 This denim jean jacket is a totally Boho and would look rock no roll on a man or woman! 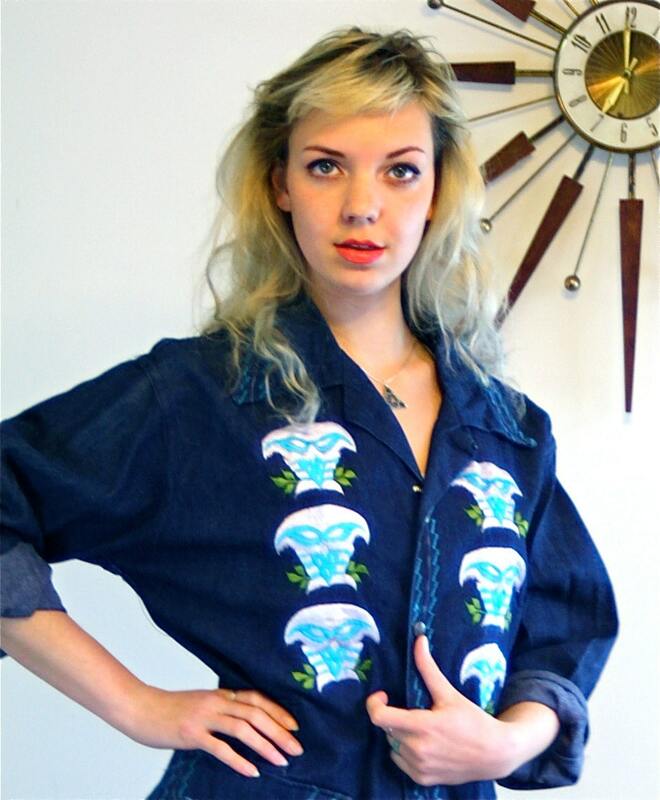 This vintage Hippie jacket is from the 1970s and has brass snaps down the front, big covered front pockets, and big loops for a belt! Model Measurements: bust:34", waist:25", hips:37", height:5'7"
CONDITION: Excellent. 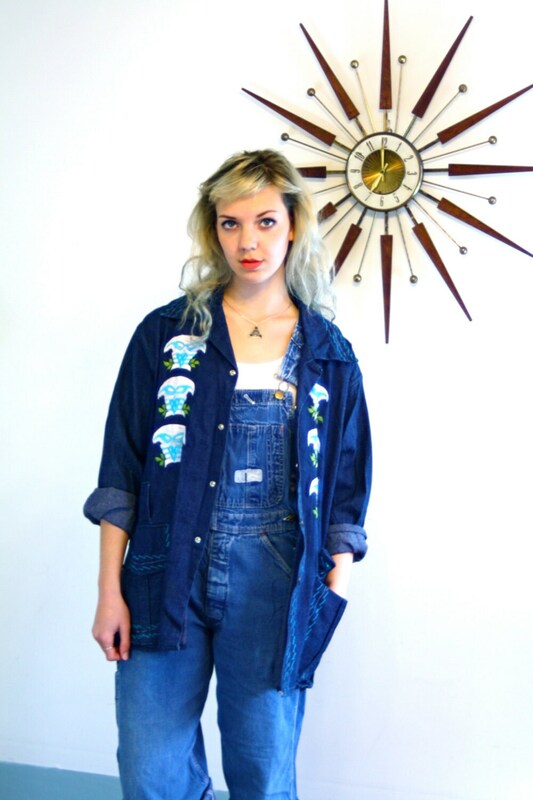 Only a few snags in embroidery.